IMPORTANT: Progress has since stopped active development on Easyl. We are back with one more webinar. On Jun 11 2015 we conducted a webinar titled “Preparing Big Data for Analysis with Progress/Telerik Easyl” at a new time. June & July month webinar will be held from 12PM to 1PM IST instead of 3PM IST. This blog post will provide you a recap of the webinar and you can catch up with the webinar in case you missed it live. HIGH-SPEED DATA PREPARATION YOU CAN DO YOURSELF – The slog of data preparation is over. What was slow and brutal, weighed down by days of Excel and email, is now fast and brilliant. For everyone. 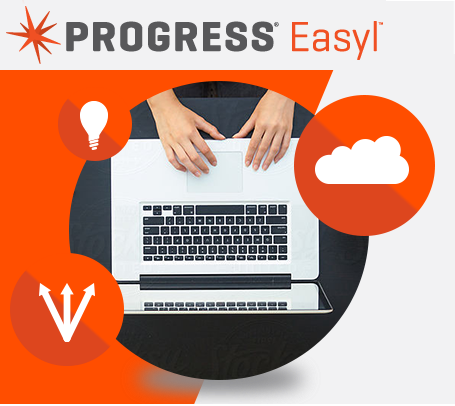 Business user, vendor, builder or partner — Progress Easyl puts you ahead of the pack. Modern, high-performance data preparation is now in your hands. Q: How Easyl help in Industry? Q: Hi Can we use this Easyl as DatASource for some other BI Tools Like Tableau? Yes, tableau will be supported in the first GA release scheduled at the end of June-2015. Q: How much amount of data space is provided by Easyl? A: The data space depends on the plan your Easyl account is subscribed to. You can get information on Easyl plans at https://pacific.progress.com/cs-ui/service/plans after registering with Progress Pacific. Q: Is it integrated with telerik test studio? A: Progress Easyl is part of the Progress Pacific platform. It is not integrated with telerik test studio. Q: Is SAP database supported in your tool ? A: SAP is not currently supported. Q: Is there any protection for data in Easyl? A: Data generated in Easyl by a user can be accessed only by the owner and the sharees to whom the report is shared. All data is generated by the user is strictly bound to the particular user’s account. Q: Can we secure data in Easyl? A: Setting password for selected reports is not possible. Q: One morething as you mentioned that it will be able to Map with Tableau so here Tableau will Be TableauAOnline Or in-premise Tableau Server? Q: Will there be a DEC (from Telerik) data connector available? A: DEC connector for easyl is currently not available currently. Q: which cloud service is being used for storing data ? Q: can you show the google analytics part in Easyl? A: A tutorial of the google analytics integration will be available in the Easyl documentation after the GA release. Q: Can we secure data in database with some passwords like MS Access? A: Easyl user authentication is only available for the time being. Password protecting individual reports is not possible. A: The data space depends on the plan your Easyl account is subscribed to. You can get information on Easyl plans in https://pacific.progress.com/cs-ui/service/plans after registering with Progress Pacific. Q: Can Easyl be use as some sort of oData Server so that i can connect this with My TAbleau In Premise Server? A: This is currently not possible. But you could generate your .tde files and work with your tableau desktop application. Q: Is multi tenancy supported ? A: Multitenancy is supported in the form of corporate accounts, where a bunch of account could be grouped and managed together using the Progress Pacific cloud services. A: Yes it is possible by using a corporate plan. Q: Is this tool free? A: It is available for a 30 day trial period, after which you’ll have to subscribe to a plan to resume working with full features. Q: Can we attach easyl with developing softwares like Visual Studio? Q: How to open Easyl website? A: You can register at https://pacific.progress.com/ . And select Easyl from the pacific from the console page. Q: What is licensing cost ? A: It depends on the plan your Easyl account is subscribed to. You can get information on Easyl plans at https://pacific.progress.com/cs-ui/service/plans after registering with Progress Pacific. Q: Is there any support team for Easyl? A: Yes. You could visit http://forms.progress.com/forms/ContactUs-v2 to contact our sales and service teams. Q: Can Easyl be installed & configured on any In-Premise Servers? A: Easyl is available only as a cloud service. It cannot be installed as a standalone on-premise service. Q: How can i beleive that my data is secure in easyl? A: Data is secured in safe amazon instances which is closely monitored by an operations team. A: You just need to create a new datasource and enter the connection parameters in the SQL Server Datasource tab. Please refer documentation for details. Q: In which fields, Easyl will be helpful? A: Data Preparation for data analytics and business intelligence. Q: does Easyl support RTL languages (Arabic) ? Q: Is there any security for Easyl from virus attacks? A: Data is secured in safe amazon instances which is closely monitored by an operations team to avoid any such attacks. Hope you like the webinar & you will give Easyl a spin. Till next time – HappyCoding.